The Zeiss Axioplan 2 is an upright epi-fluorescence microscope. Images can be acquired with the AxioCam HR color CCD camera and AxioVision software. The Zeiss M2BIO is a stereo-microscope equipped with fluorescent filters for DAPI, FITC, and Rhodamine. 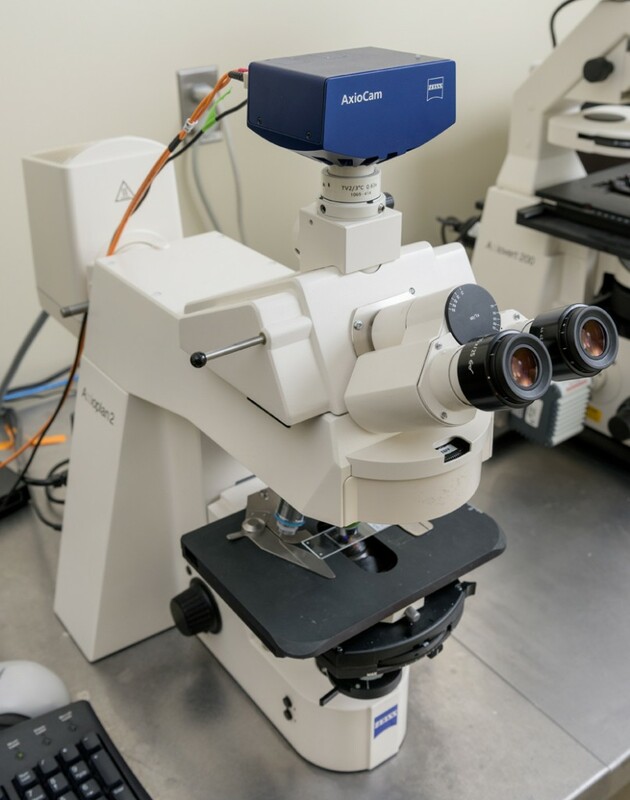 The AxioCam HR color CCD can be mounted on the microscope for image acquisition using the AxioVision software. 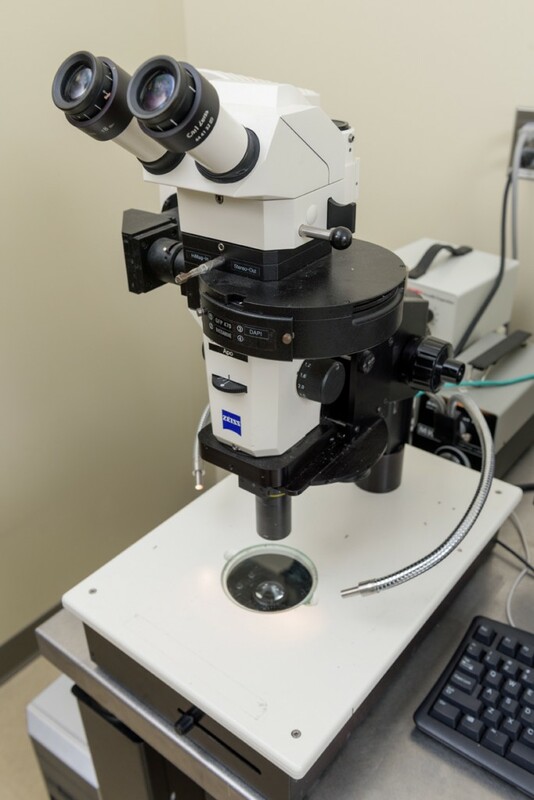 The Zeiss PALM CombiSystem is used to isolate cells from specific tissue samples. 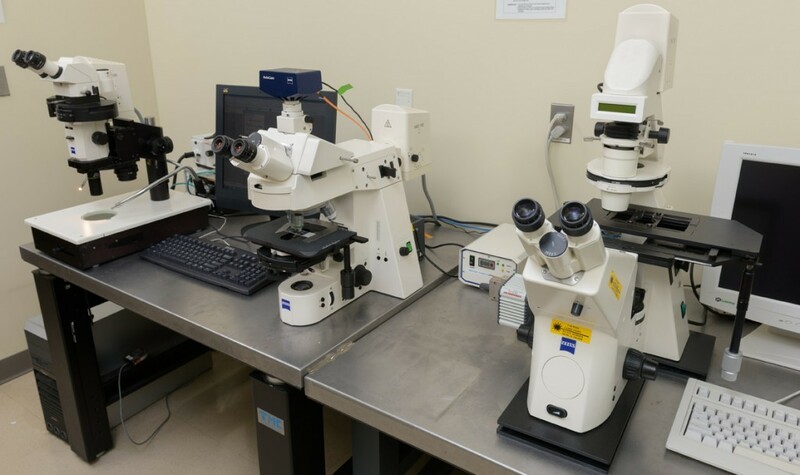 It uses a focused laser beam to cut out and separate a region of interest from the unwanted tissue, and then a pulse of laser propels the sample into a collecting cap. This technology allows for the procurement of a specific cell population for further analysis.